Wally likes to snuggle and give hugs, despite being a 5-foot-long alligator. 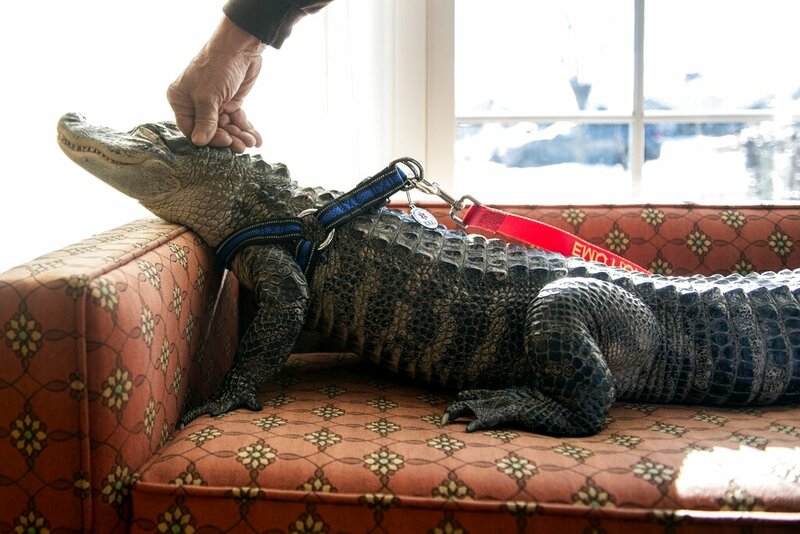 YORK HAVEN, Pa. — A Pennsylvania man says his emotional support alligator helps him deal with his depression. 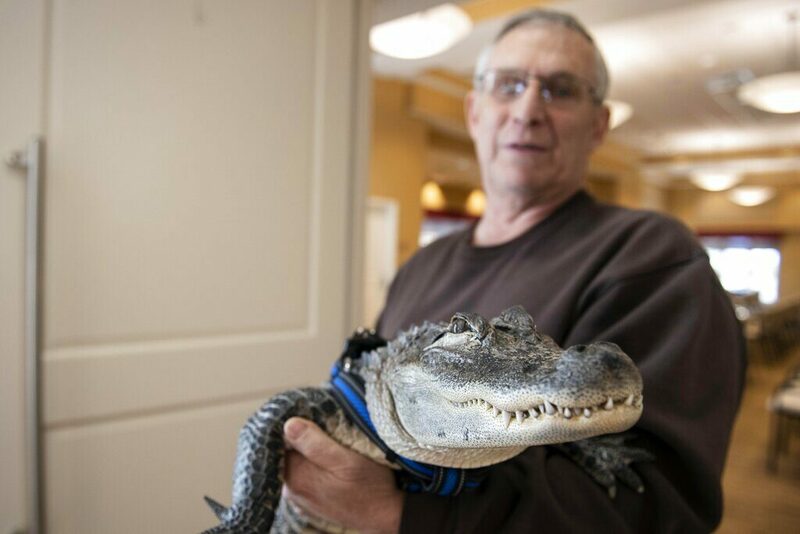 Sixty-five-year-old Joie Henney, of York Haven, says his registered emotional support animal named Wally likes to snuggle and give hugs, despite being a 5-foot-long alligator. Philly.com reports Henney says he received approval from his doctor to use Wally as his emotional support animal after not wanting to go on medication for depression. Wally, a 4-year-old emotional support alligator, soaks up the sun while his owner, Joie Henney, rubs his head at the SpiriTrust Lutheran Village in York, Pa. on Jan 14, 2019. Henney acknowledges that Wally is still a dangerous wild animal and could probably tear his arm off, but says he’s never been afraid of him.